"How do I legally carry firearms in my car, truck or motor home in the state of California?" If the vehicle does not have a trunk, it must be carried in a "locked container" separate from the utility or glove compartment. Penal Code Section 12026.1 defines "locked container" as a secure container that is fully enclosed and locked by a padlock, key lock, combination lock, or similar locking device. Locked container does not include the glove compartment or utility compartment. Ammunition cannot be attached to the handgun in any manner. Under most circumstances, a firearm is considered loaded when there is a live round of ammunition "...in, or attached in any manner to, the firearm, including, but not limited to: in the firing chamber, magazine or clip thereof attached to the firearm..." For example, a semi-automatic handgun with an empty firing chamber and a loaded magazine inserted in the magazine well is considered loaded. There is no prohibition in the state codes against also carrying ammunition within the same motor vehicle or compartment in the vehicle, as long as the firearms are not loaded and ammunition is not attached in any manner to the firearm. - Penal Code Sections 12025, 12026, 12031. "Utility compartment" is not defined in the Penal Code. A handgun should not be transported in the center console (even if locked) or in the storage area present behind the rear seat in most hatchback type automobiles. Because of the uncertainty in current California law, it is inadvisable to use the various storage compartments found in sport utility vehicles. While it is legal in California to carry an unloaded handgun in plain sight in the passenger compartment, it is not advised. It can lead to unfavorable attention and an encounter with the police. If the gun slips between the seats or otherwise out of sight, it is no longer "in plain sight" and therefore illegal. Penal Code Section 12026.2 states that carrying a handgun in your car even in a locked container is only for the purpose of transporting from one specific location to another (going to the range, going hunting, etc.). It is illegal to carry a firearm without a permit, even in a locked container in your car, for general purposes such as self-defense. These requirements for handguns also apply to the transportation of "assault weapons" and .50 BMG rifles. When driving a motor home, it is treated as a motor vehicle and all requirements listed above apply. This information was obtained from the California Rifle and Pistol Association's Summary of California Gun Laws and Basic Safety Rules, 38th Revision - 2010, and from Attorney Bruce Colodny, GunLaw.com. Be prepared with transporting a firearm in California. It's serious business, and misunderstanding or not knowing the laws can land you in a spot you'd rather not be. These are some of the most misunderstood (or even unknown) facts concern transporting firearms in motor vehicles in California. Basically, when you get right down to it, the use of a Department of Justice approved locking device is a must. This does not mean a trigger lock; this means a locked box separate from the glove compartment or utility compartment in your vehicle. 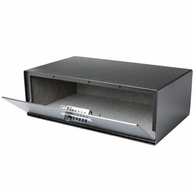 These types of gun safes are available in different sizes and shapes and are available at safe retail centers such as Dean Safe Co. in their stores and from their website. 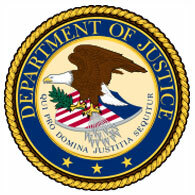 Dean Safe carries several different brands that are "DOJ" approved, including Gun Vault, Stack-On, V-Line, Sentry and others. 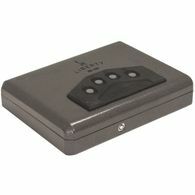 While these manufacturers all produce gun safes, not all models are Department of Justice approved. Safe consultants at Dean Safe Co. can tell you which ones are approved and which are not. First determine if the locked box will be a permanent fixture in your vehicle, or do you need something that is transportable? 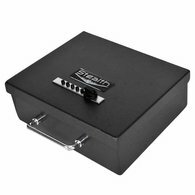 Transportable boxes usually come equipped with a cable that runs from inside the box around something permanent in the car (like a trunk hinge or seat bracket). Others are mounted permanently in the car under the seat, behind the passenger seat on the floor, or wherever you might decide. Once you know where the box will be mounted, you will know how the door needs to open (top opening, side, or front). Also note the dimensions available for placement. Armed with this information, the safe consultant can best determine what will work for you.